We also hear from Efrat Ginot in her article “A Neuropsychological Model of the Unconscious and Therapeutic Change”, where she looks at the “unconscious maps”, or schemas, that drive our automatic responses. The pervasive nature of unconscious automaticity in every aspect of our mental/neural lives makes it a pertinent topic for the psychotherapist. For therapist and client alike, the reflective awareness of such unconscious processes is an important, if not critical, aspect of gaining prefrontal dominance over what would by default be subcortical, habitual, and automatic responses to the world around us. In our Spotlight department we join Dr. David Van Nuys as he interviews Michele Rosenthal about trauma and recovering a sense of self—a delightful conversation with someone who is not only an accomplished therapist but herself a trauma survivor. I trust we can all benefit from Michele’s story and insights. 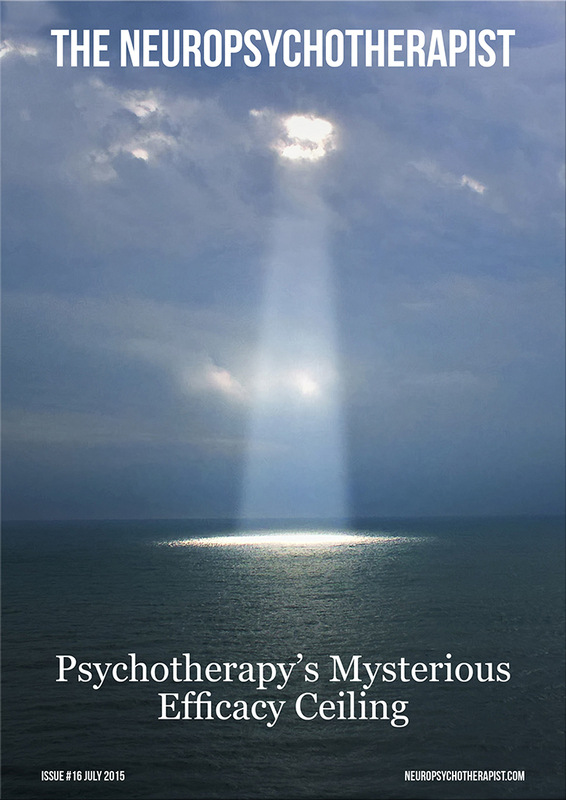 PSYCHOTHERAPY’S MYSTERIOUS EFFICACY CEILING: IS MEMORY RECONSOLIDATION THE BREAKTHROUGH? Psychotherapy in general may not have the efficacy we imagine it does. Bruce Ecker summarises 20 years of research into the transformational process of psychotherapy and what mechanisms are really making a difference in therapy. Psychologist-psychoanalyst Efrat Ginot takes a neuropsychological perspective of the mechanisms of the unconscious and its propensity for automaticity.